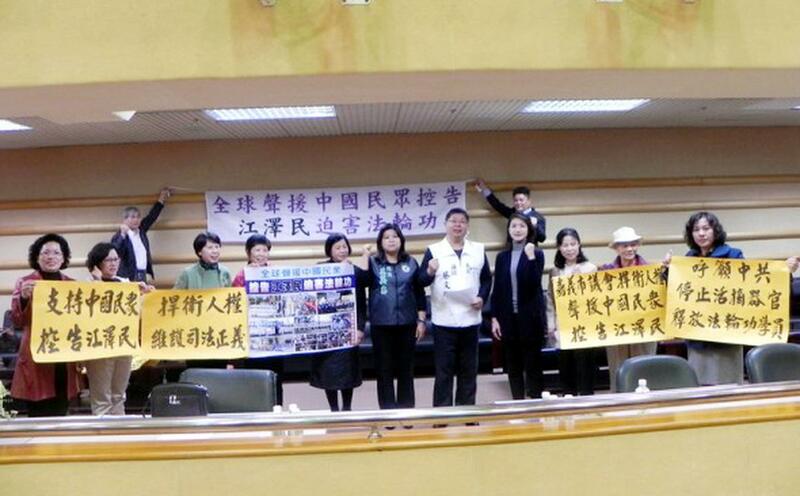 (Minghui.org) The Chiayi City Council in southern Taiwan recently passed a resolution to uphold human rights for practitioners of Falun Gong, a spiritual practice currently persecuted in China. Tsai Wen-Hsu, one of the councilors who initiated the resolution, called for the Chinese regime to immediately stop the persecution of Falun Gong. He believes that human rights is a universal value that is not bound by borders, race, or religion. Tsai also urged the authorities in Taiwan to ban those who are involved in organ harvesting from entering Taiwan, and evict those who were already there. The resolution was jointly signed by ten other councilors and passed unanimously. Six other Taiwanese counties and cities (Pingtung, Kaohsiung, Taichung, Yunlin, Hualien, and Yilan) have passed similar multi-partisan resolutions, urging the Chinese government to stop the persecution of Falun Gong, demanding an immediate end to the state-sanctioned forced organ harvesting, and supporting the more than 200,000 Chinese people who have filed lawsuits against former Chinese dictator Jiang Zemin, who ordered the ongoing persecution of Falun Gong in mainland China. In addition, the Taipei Bar Association made a public announcement on December 25, 2015 to urge the Chinese communist regime to allow international organizations to enter China to investigate forced organ harvesting crimes, and support Chinese citizens’ demands for justice in the persecution of Falun Gong.